It's time for a new linky party at Paper Issues. This time the theme is Food for Thought. 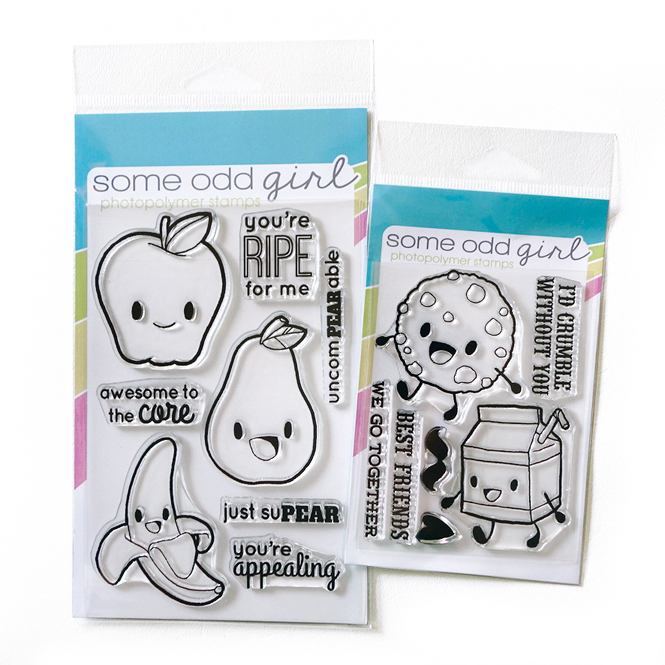 Our sponsor, Some Odd Girl Stamps, is giving away two sets of the cutest, newly released, food-themed stamps. What can you link up? Well, anything having to do with food. We'd also love to see Father's Day projects and cards. 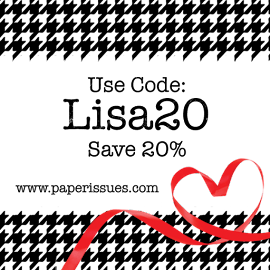 Check out the Paper Issues blog for even more ideas. Gorgeous page as usual Lisa.. that picture of those strawberries is very tasty looking! Lovely and fun page. Love how you strawberry picture pops yet matches all your products used!! This is absolutely amazing!! Love the details and the awesome photo!! That beaded strawberry caught my eye - so cleverly done!! You just have a knack!! Wowzers!! Stunning layout!! Love all the bright colors!! And all those layers ... oh my...totally fab!! This is one of my favorite layouts of yours, Lisa, love everything about it! oooooo I LOVE IT!! So fun and colorful. And love the pick a boo pix. Super fun layout! those strawberries are so tauntingly delicious looking!!!! Those really are cute stamps! And so is your project, Lisa!! Mmmmmmm.....I love strawberries, and I remember many summer hours spent picking strawberries at Schutt's I think. Wonderful layout! Looks delicious! I like the background you chose especially. A perfect contrast for the bright berry colors. Such an awesome layout Lisa, and perfect for the new PI link up!! Love this page Lisa! The strawberries in the picture look so sweet and juicy. And the page coordinates perfectly with them. Love love love love this! LOVING the colors and loveeeeee the beaded strawberry!!!!!!! 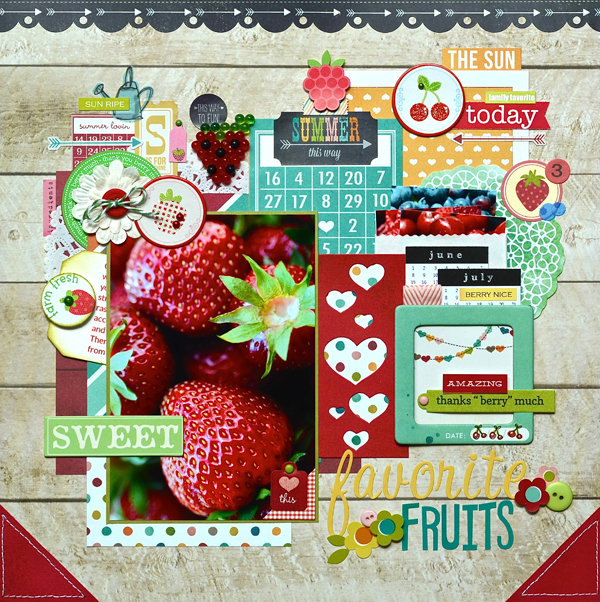 I adore all the berry stickers & the beaded strawberry is fabulous! This is SO pretty! And a fantastic photo!! How SWEET is this? I have strawberries practically everyday for breakfast..love them! Thanks for reminding me to link up to PI! This is a fabulous layout. You brought me back so many wonderful memories. I always picked strawberries with my girls and then we froze some shole for toppings during the rest of the year and made jam with the rest. We did this for each crop of berries and soft fruits. The jams and jellies would be arranged in gift hampers for my Dad who loved having Jam with toast. I say it that way rather than toast with jam as his jam coating was thicker than the toast!! !